You are the next chapter! That is our motto for our ACTS 29 parish youth ministry, which seeks to encourage our junior high and high school age students in the faith. Various diocesan youth events, service projects, and regular parish gatherings help us to attain to that goal. The St. Ann & St. Vincent Altar Societies serve the parish by maintaining our parish church and chapel, providing the needed materials for Masses, and serving in various capacities at parish liturgies. While the effects are visible and enjoyed by all, the work is largely the hidden, humble labor that gives joy to the Lord and the people of God. The Catholic Daughters of the Americas are a Catholic women’s organization founded to encourage community and promote social concerns in the local and national settings. Court Isabella #809 serves our community by prayer, calls to action, and service to those in need. Contact Regent Judy LeBlanc or Fr. Brent at the parish office for more information or to join. We are blessed to join with the Hispanic Apostolate of the Diocese of Baton Rouge in ministering to our growing Hispanic community. A monthly Mass in Spanish is celebrated at St. Ann along with other major feasts, quinceañeras, and Sacraments through the course of the year, to honor their rich heritage. To know Jesus and to love Him. That is the goal of our faith formation program, encompassing our CCD, RCIA, and Adult Education programs. This multi-faceted program teaches others about the Lord and the faith, encourages continued conversion and discipleship, and helps to prepare the faithful to spread the Gospel by word and deed. The Knights of Columbus are a Catholic fraternal society founded to provide for the needs of the members and their families, particularly widows and orphans. KC Council #2150 continues that work in our local community by numerous charitable works. Contact Grand Knight David Wells or Fr. Brent at the parish office for more information or to join. 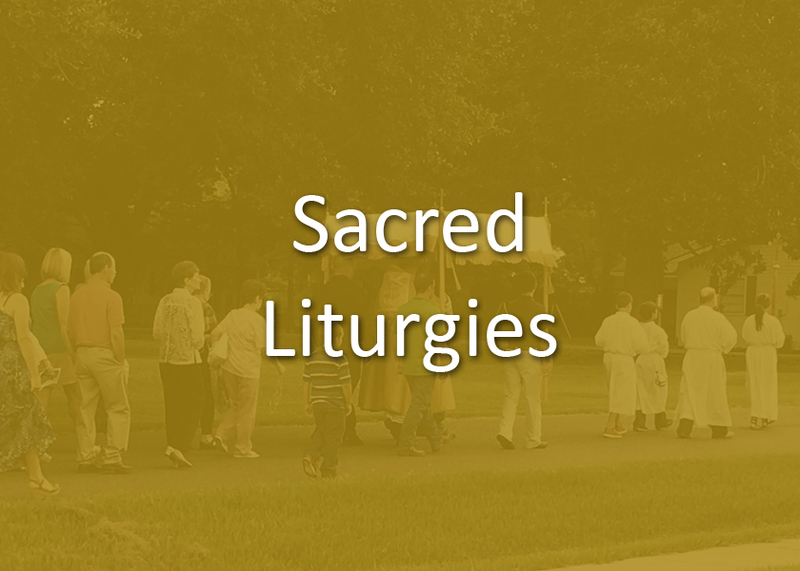 A whole variety of ministries are needed to ensure that the parish liturgies go smoothly and edifying to the souls of the worshipping community. Sacristans, altar servers, ushers, lectors, and extraordinary ministers of Holy Communion all take on special roles in service to God and the parish and truly aid in our experience of the joy of worship. The members of our three liturgical choirs enhance the beauty of the Mass with the richness of their voices and instruments. There is always a place for another voice in the choir to assist in the praise of our God and the uplifting of our hearts. Feel free to speak with any of our directors after Mass to get more information about joining. Recognizing the great gift of the elders of our community and the need of the human heart for interaction with others, the Not So Young Adults gather on the 4th Thursday of each month to attend evening Mass, share a meal together, and to enjoy a (usually lively) game of BINGO. The Italian heritage of many of our parishioners brings with it the rich tradition of the St. Joseph Altar. Each year on his feast, the San Giuseppe Ladies erect the altar and prepare a great feast in honor of St. Joseph, drawing many from the surrounding towns to come enjoy the feast and partake in the traditional fig cookies, lamb cake, and more.